The Sharjah Cricket Stadium will host the first ODI between Pakistan and Australia on March 22, Friday. It will be an important 5-match series before the World Cup. This will be the last assignment for Australia before the mega event. Keep reading to find out the Pakistan vs Australia 1st ODI Match Prediction. Pakistan rested 6 regular players for this series as they have been on the road for quite some time. After the Asia Cup, they hosted Australia and New Zealand in UAE and then, toured South Africa. All the players then played in the PSL. Pakistan is set to tour England just before the World Cup and hence, they rested their key players for the current series. On the other hand, Australia comes to the UAE full of confidence. They won both the T20I and ODI series against India recently. These will be the last 5 ODIs they play before the World Cup. So, it’s the last opportunity for them to experiment to finalize the squad. 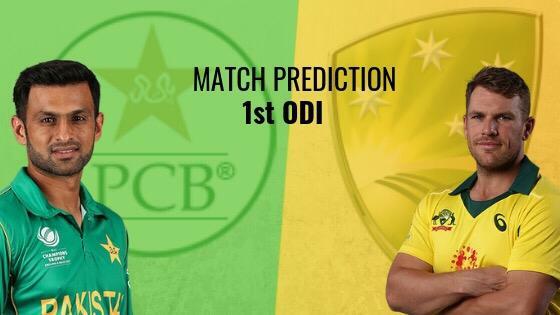 Pakistan vs Australia 1st ODI Match Prediction: Having rested key members, Pakistan now seems a little weaker in front of Australia who has the momentum with them. The pitch in Sharjah won’t be too different from what the visitors saw in India. Hence, for the starters, Australia seems the favorite one. Predictions are for entertainment purpose only. We don’t get involved in or promote betting or gambling. We strongly discourage behaviors of participating in illegal activities related to cricket. Our experts try to be as correct as possible, but we do not guarantee 100% correctness.